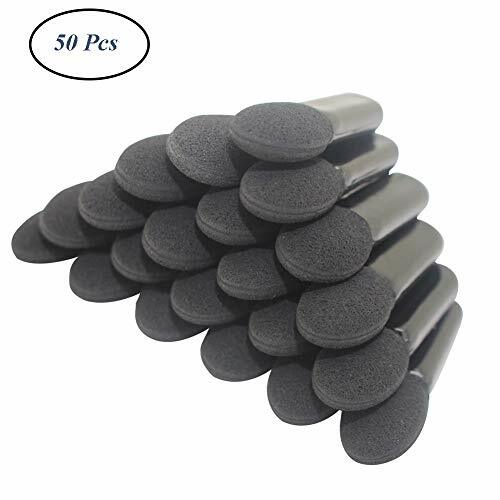 Tips are Constructed with a Soft Sponge Material. Exude radiance (or layer it on) with this cruelty-free brush. 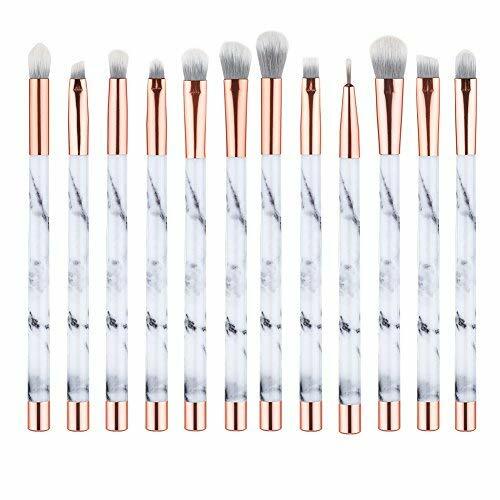 Its tapered, densely packed bristles effectively disperse the perfect amount of highlighting powder or cream to your cheekbones, cupid's bow, and the bridge of the nose. VEGAN MAKEUP BRUSHES: Your search for the perfect brush is over! Flawlessly highlight cheekbones and make them pop with this expertly designed brush with densely-packed bristles that are soft on skin. We highly recommend this gorgeous UNIMEIX brush set to you, which is designed for both professional and personal use. for flawless applications wherever you are. Don't MISS IT ! 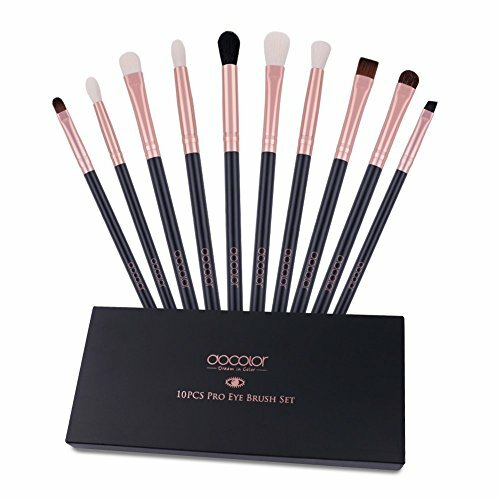 Unique design and color 10Pcs Professional Eye Brush Set with great soft and fine bristles and reasonably price, apply flawless look for you. 1. Tapered Blending :Controlled application of crease color. Use the tip of the brush to pick up color, applying directly onto the crease and sweep through. Effect is blending, but defined. 2. Medium Angled Shading : The angled bristle head is designed for applying product to the brow bone. Makes highlighting quick and easy. Also works great to blend color into the crease. 3. Eye Shader : The dense rounded bristles are designed to pack eyeshadow over the entire eyelid for a smooth and even finish. 4. Concealer : For correcting skin at under-eye area and eye corners expertly provides smooth application in wet or dry ideal to use with concealer, makeup fluid or cream renders you a natural, flawless makeup effect. 5. Pencil :Soft pointed bristle head for smudging liners or applying shadow along the top and lower lash line, creating a smokey effect. Also great for defining the outer V or the crease. 6. Short Shader :Concentrated color application Recommended Use: Apply color onto small areas of the eye such as the outer eyelid. Also use to smudge the lower lash line. 7. Flat Definer :Sharp and precise application Recommended Use: Press product along upper and lower lash lines to create an easy thin liner. Works with gel, liquid or powder products. 8. Small angled/Eyebrow Brush :The narrow angled bristle head creates a tight line to the upper and lower eye lash lines using liquid, gel, cream or powders. Use small strokes to create a perfect wing. 9. Eye liner :Precise application of liner and use with gel or liquid liners. 10. Lip Brush :Precise application of color onto the lips and use the firm edge to define and contour the lips. 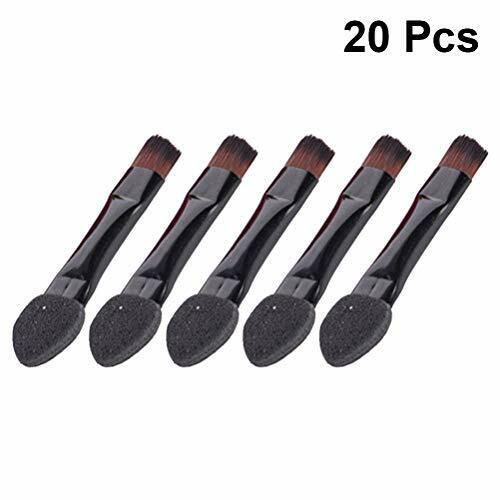 -FANTASTIC BRISTLES: The key to great makeup brushes are the bristles.Duorime Bet quality 10pcs eye brushes set all are vegan synthetic fiber but silky soft, yet just the right density for packing color. Clean up beautifully with zero shedding. -ESSENTIAL VERSATILITY : Designed for multitasking for fast and easy makeup applications. Works with all types of makeup, including powders, creams, gels, liquid, and glitters. Perfect for packing, blending, lining, smudging, buffing, diffusing, defining, contouring, highlighting and finishing. 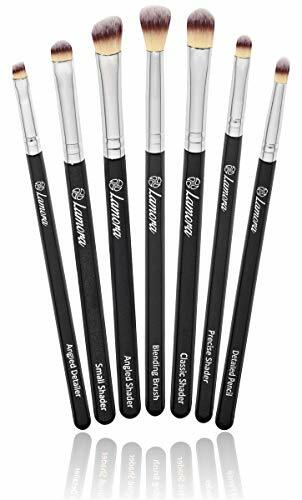 -TOP CRAFTWORK: Luxury color NICKEL PLATED SILVER FERRULES with a BRIGHT BLACK HANDLE- Each brush is structured with Double Crimped Ferrule and made from a lightweight, sustainable wood which receives 8 coats of paint, making them scratch resistant and guaranteed to last. Strict production processes and quality control allows us to make brushes that do no shed and are user friendly. -Useful For Everyone: Whether you are a beginner, a makeup addict or a professional makeup artist. These professional eye brushes are a great addition to your collection.You know the same brushes from the big $$$ brands cost TOO MUCH, but our price is 1/N,and the quality and Material can compared to them at all. 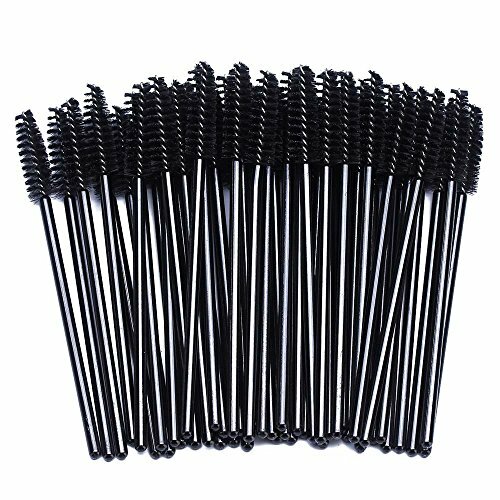 -100% GUARANTEE: Buying a good eye brush online can be a daunting process.You can find so many types eye brushes but most of them are flimsy. Handle or hair fall off or doesn't work well for makeup work. Stop worrying,try to use Duorime,you will find all your need.If you don't like it,we promise that 100% money back with no ask. 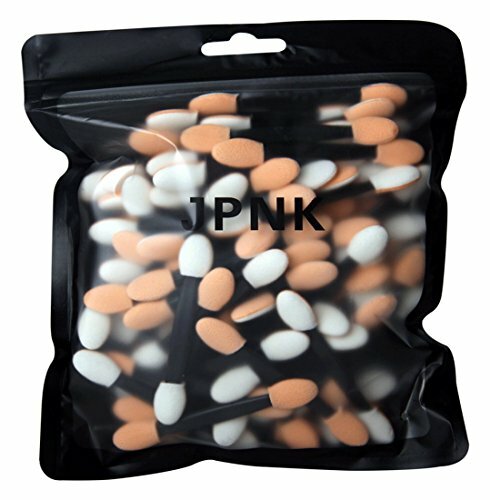 bulk packing with good quality warranty. Smooth, soft and full, give extraordinary coverage for the face with this facial mask brush. Easier to use around those hard to reach and smaller sections of your face, such as your eyes and nose area. Won't hurt your skin, good item for make-up and useful. For applying facial masks, smoothing masks. The Brow Shaping Duo is designed with 2 brushes to effortlessly style, define and maintain beautiful brows. We've always believed in the power of beauty. At EcoTools we encourage you to embrace your own individual meaning of beauty and share it with the world, whether it is makeup tutorials, an inspirational story or giving back to the community. Because when you feel truly beautiful, you will make the world and everyone around you feel beautiful! Armed with a mission to make women look beautiful on the outside and feel just as good on the inside, sisters Jen and Stacey set out to create a brush collection that was not only nature friendly, but chic, high-quality, and affordable too. After sourcing recycled materials, renewable bamboo and better manufacturing processes, in 2007, EcoTools was born. This year, we re celebrating EcoTools 10th anniversary by introducing a fresh new look, brushes that feel even better in your hands, and packaging with detailed tutorials that make it easier than ever to create a beautiful look from hair to toe. We re also marking a decade of living beautifully by making a $100,000 donation to Glamour s The Girl Project via our #MyTrueBeauty campaign that supports women s empowerment and encourages women to become the best version of themselves. We believe in giving a new purpose to old things. That s why our products are made from recycled aluminum and plastic. Our packaging is made of 100% Tree-Free paper. HOW? With 20% cotton and 80% bamboo fibers! The handles on our products are made of renewable bamboo, one of the fastest growing plants on the planet! This set includes 2 brushes to effortlessly style, define & maintain flawless brows. GROOM: Use the Spoolie to comb & smooth stray brows. SHAPE: With brow product, use the Angled Liner to apply eyebrow powder or eyebrow gel, no need for eyebrow pencil. 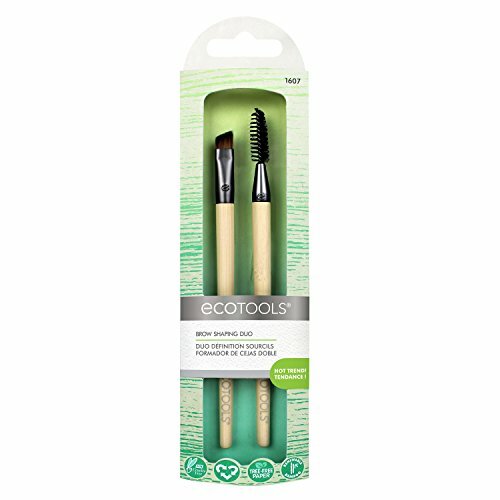 ECOTOOLS MAKEUP BRUSHES AND BEAUTY TOOLS: EcoTools makeup brushes are soft, yet firm, allowing the bristles to pick up and distribute makeup evenly. Shade, blend, shape, and finish; use brushes dry or wet to create a look that is beautifully, totally you. 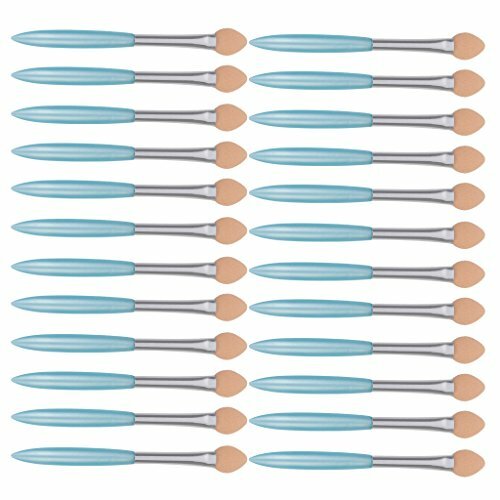 100% Brand new and high quality, a set of 10 Pieces eye makeup brushes. 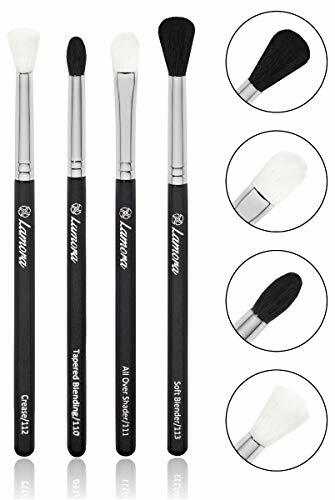 BLENDING BRUSH SET includes 4 professional quality blending brushes that are ideal for shading and blending of creamy and powdery products. These makeup brushes are recommended for makeup lovers at every skill level. They pick up product very well and dispense it with ease. Expect professional results. Considered as - THE - Eyeshadow Brush the ALL OVER SHADER comes with a flat, oval shaped head for smooth transitions and a super soft finish. Due to his specific shape (flat at the base, but fluffy right at the tip) this brush is an ideal tool for applying eye shadow evenly on the entire eyelid from lash to crease, shading the eyelid crease, drawing edges around the eyelashes and highlighting the brow bone. Achieve perfect blending and seamless transitions between colors with the most loved CREASE BRUSH. With its curved, soft-fluffy head it has the perfect fullness and firmness to create a diffuse effect in the crease. TAPERED BLENDING BRUSH - The shape of this small blending brush suits ideal for adding depth and dimension into the crease with a darker shade. 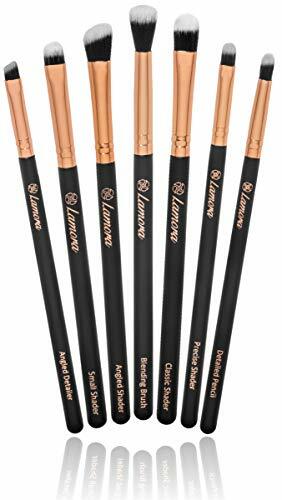 The pointed tip fits perfect into the eye contour of the crease and allows detailed working and precise blending. - The SOFT BLENDER ensures a well-blended effect with his slightly firm and rounded brush head. Use this brush to finalize your eye makeup look for a blended, but defined look. Grab your essential eye blending brushes to create the perfect smoky eye look or any eye makeup application. All eye brushes were assembled by hand and extensively tested. We hand-picked the MOST IMPORTANT eye makeup blending brushes to serve a DISTINCT makeup PURPOSE to make sure you have all brushes needed to create your perfect eye makeup look. ORDER NOW! Please note that sometimes if our makeup brushes smell like paint since they have been sealed in the bag for long time, don't worry! Just wash them in water with little shampoo and wait them dry, the smell will disappear! 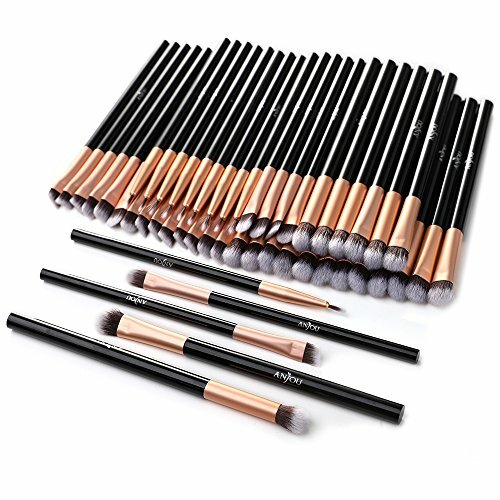 PERFECT FOR COMPLETE EYE MAKEUP: Docolor 10pcs eye brush set includes eyeshadow brush, blending brush, eyeliner brush, eyebrow brush concealer brush and lip brush with cover. Different shapes and sizes of the bristles allow you to create a variety of eye makeup. BLACK & ROSE GOLD DESIGN --- Designed with matte black handle, rose gold aluminum tube and high quality synthetic&pony&goat fibers. Meanwhile, the sturdy handle is comfortable to hold and makes sure for a long time using. PERFECT TRAVEL KIT and GIFT IDEA: This eye makeup brushes set is great for travel and also a great gift idea for women. It can help you create a fantastic holiday eye makeup. WORTH THE BUY: Effective price with high quality eye makeup brush kit from professional manufacturer. You will be impressed with our Elegant and Classic brushes kit. Come and get them for your pleasure or for the person who loves makeup! NICE CUSTOMER SERVICE --- The goal of Mybeautyqueen is to make every customer satisfied. If you are not satisfied, please feel free to contact us, we will try our best to solve the problem for every customer no matter refund or replacement. The technologically advanced filaments with specialized tips are developed to hold and deliver cream and powder products without any absorption into the bristles. Achieve exact placement of cream or gel products on your lower waterline with this SigmaTech fiber brush for subtle definition. 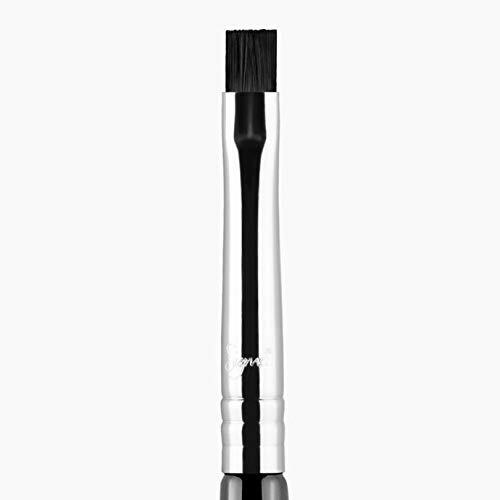 WATERLINE LINER BRUSH E17 - Engineered to better hold, apply, and blend product. Small, firm and flat edge for sharp and precise makeup application. Offers full coverage. PERFECT WITH ALL PRODUCTS - This brush by Sigma features a flat brush head that's perfect for applying gel, liquid or powder products onto the lower waterline, for easy and exact product placement. EXCLUSIVE FEATURES - The patented 3-ring brush ferrule is made with high performance SigmaAlloy for durability and strength. MADE FROM HIGH QUALITY MATERIAL - Sigma Beauty's exclusive selection of high performance synthetic SigmaTech fibers engineered to outperform traditional animal hair. Built to last, fibers are antibacterial, hypoallergenic, and will maintain their original shape and color even after multiple washes. UNIQUE HANDLES - Each brush handle is made from a lightweight, sustainable source of wood which receives 8 coats of paint, making them scratch resistant and proven to last. When you received these new brush set , allow them to be natural ventilation for several hours. Essential For Complete Eye Makeup:These essential eye brushes are ideally for liquids, powders, or creams to produce a beautiful eye makeup application. The set includes eyeshadow brushes, blending brushes, large eyebrow brush, duo eyebrow spoolie and concealer brushes. Different shapes and sizes of the bristles allow you to create a variety of eye makeup for daily makeup. Do not drop or absorb any pigment. Grab your essential eye brushes to create the perfect smokey eye look or any eye makeup application. Look beautiful and live beautiful every single day by upgrading your makeup to the next level.SOFT AND WEIGHT APPROPRIAT: All brushes are extremely soft and easy to hold makeup, perfect for makeup lady and individuals with normal to sensitive skin and will not irritate you. A Great Gift For Christmas! Birthday, Halloween, Thanksgiving Day :All eye brushes were assembled by hand and extensively tested. We hand-picked the most essential eye makeup brushes to serve a distinct makeup purpose to make sure you have all brushes needed to create a PERFECT EYE MAKEUP. 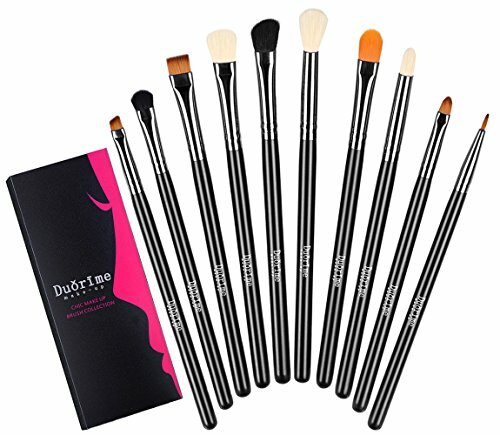 These soft makeup brushes are easy to clean and they dry off fast. 100% SATISFACTION GUARANTEE:Bellexixi Offer 100% GUARANTEE: 100% Money Back Guarantee if you are not satisfied.We will offer Responsive and Friendly Costumer service. PEREMIUM PROFESSIONAL EYESHADOW BRUSH:Each eyeshadow brush was assembled by hand and packed individually. 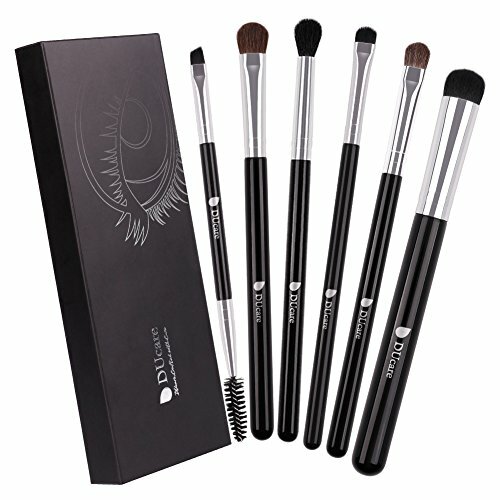 Made of premium synthetic fiber and soft animal bristles materials provide an incredible touch and feel,will show your natural beauty and leave a perfect finish.Soft Synthetic Pony Bristles & High Quality Wooden Handles: No shedding, with the high-tech bristles which are well made of soft synthetic&pony fibers and durable handles, feel amazing on your skin by using these eye makeup brushes. Skin-like feeling sponge latex sponge material, soft and comfortable to touch, easy to stick powder, without scratchy, gliding evenly. Thick sponge with good quality:with thick foam ,never hurt eyelid ,which supply strong adhesion,will keep your makeup perfect all the time. This applicator set is ideal for professionals alike and is an essential part of the makeup artist kit. Our eye shadow applicator with sponge-tip is an applicator that will help you create a range of eye looks,from natural to dramatic,with ease. 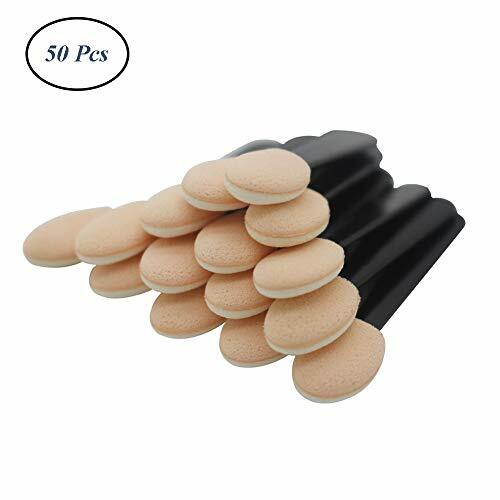 - Comfortable and convenient to use:Eye shadow sponge heads are soft enough without being scratchy, comfortable to touch; These cute disposable eye shadow brushes are easy to carry and store, very suitable for daily life and work. 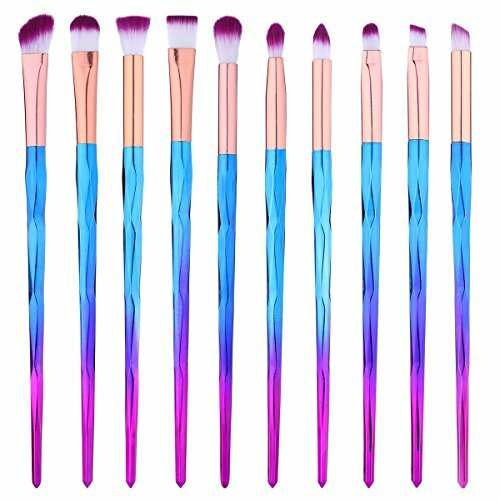 - Dual sided eyeshadow brushes with 2 different colors each side -- this will make it easy to differentiate when using it with multiple colors. Also great to avoid accidentally blending colors previously used with ones from a different container. - Good quality. The sponge is firm enough to apply your shadow well, but not so hard that it doesn't mold to the contour of your eyelid. 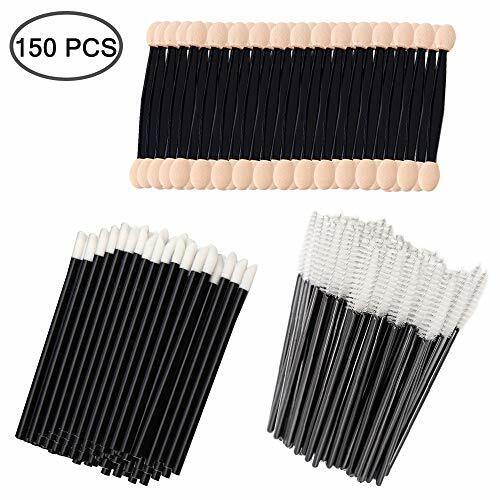 - Bulk replaced eyeshadow brushes 100 Pack sponge eyeshadow applicators for replacing your old eyeshadow brushes, clean and sanitary. Convenient and efficient, help make your eyes look bigger, fuller and brighter. Size and application: overall length: 6.2 cm/ 2.44 inches; Suitable for business trips, holidays, parties, festivals, wedding, proms, daily use, performances, etc. 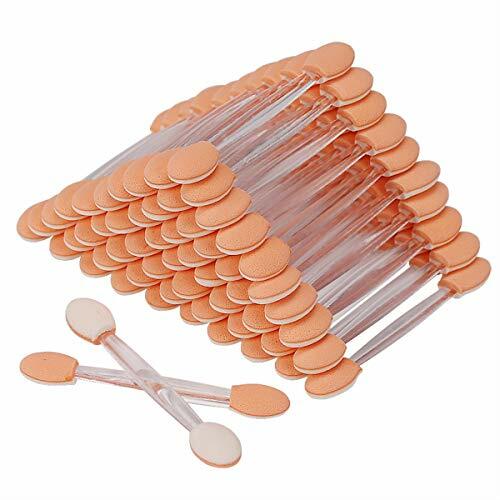 These compact disposable Makeup Applicators cater to your various needs in daily life and work. Clean and sanitary brushes suit someone who makes up regularly. Dual sided design Eye Shadow Sponge allows you to apply diverse colors eye shadow but not mix. DURABLE MATERIAL- The makeup applicators are constructed of hard plastic handle and fiber hair. The eye shadow sponge has a soft sponge material. They are solid, flexible, handy and easy to use. WIDE RANGE USING SCENE- You are free to custom your eye shadows, lipstick, concealers, foundations, pigment etc. for any color and texture as you want. It is also can use with nail art paint, gels, nail polishes, pigments, lash adhesive. 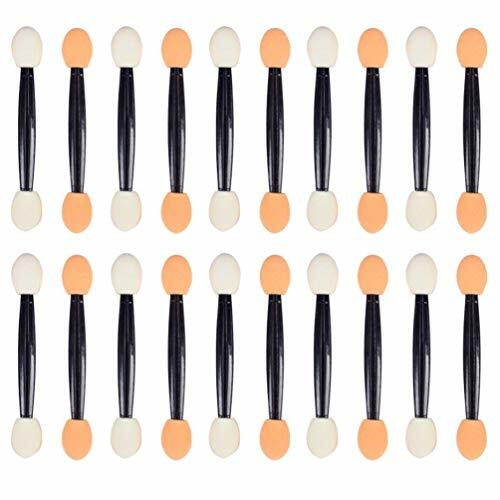 PERFECT SIZE- The makeup applicators are approximately 3.5 long. They are small and exquisite enough to be carried in your bag when you go to party or hang out. DISPOSABLE MAKEUP APPLICATORS- All the makeup applicators are disposable. They are nontoxic and sanitary, no more worries about cross contamination. 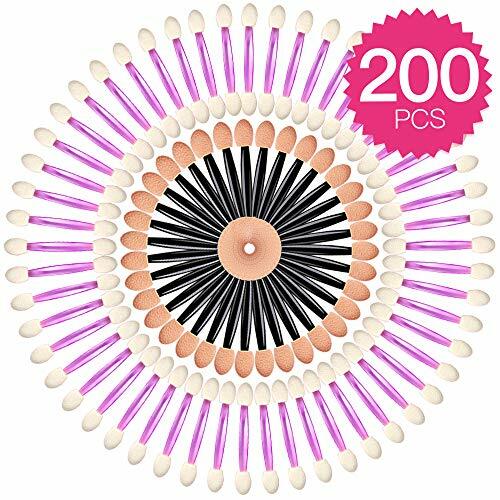 VALUE PACKAGE- The package includes 50pcs disposable lip gloss wands, 50pcs disposable mascara wands, 50pcs disposable dual sides eye shadow sponges. - These Disposable Eye Shadow Applicators feature a teeny-tiny figure, and convenient for carrying and storage. Disposable Eye Shadow Applicators is more hygienic. 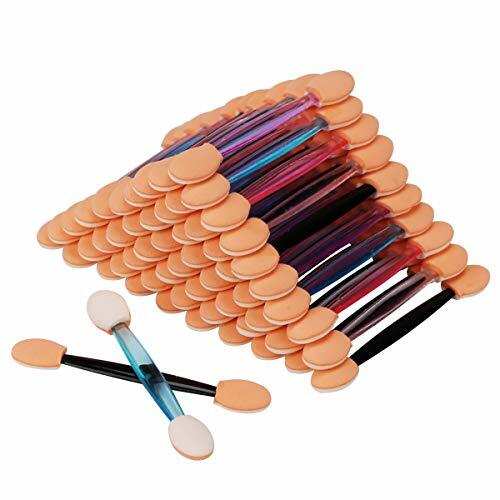 These Disposable Eye Shadow Applicators are made of top quality foam boasting of high density, thick and smooth. This product is fashionable and useful. You can use it easily, besides, the brush is smooth and brush handle is firm. It is a good supply for majority of female. Makeup brushes, just as the variation you choose and you can check by the right picture. Please be careful to choose what you need. Soft and comfortable to touch, easy to stick powder, without scratchy, gliding evenly. Compact eye shadow brushes, the sponge is tightly adhered to the little wand on ends. Suitable for beginners or professional make-up use. Dual sided design :cater to your various needs, help you create a range of eye looks. With thick foam, never hurt eyelid, which supply strong adhesion, will keep your makeup perfect all the time.